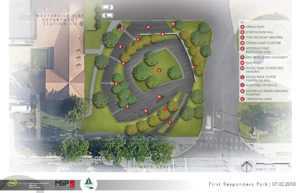 In 2010, the First Responders Park in Westerville, Ohio was dedicated to honor the service and sacrifice of all first responders. 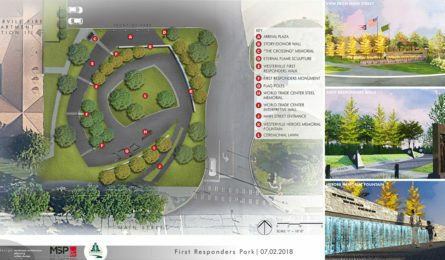 Plans to expand the park to nearly double its current size and add a permanent police memorial were already in place when in February of 2018, two Westerville Police officers, Anthony P. Morelli and Eric Joering, were killed in the line of duty. 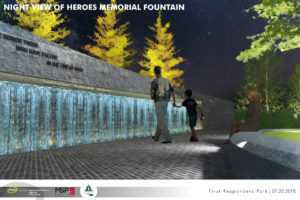 MSP’s Dan Frank, landscape architect, has a personal connection to this story. His daughter-in-law’s father is Officer Morelli. 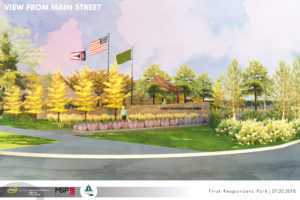 Without hesitation, Dan reached out to the City of Westerville police chief and city manager offering his services free of charge not knowing that the City was expediting their plans to expand the park. 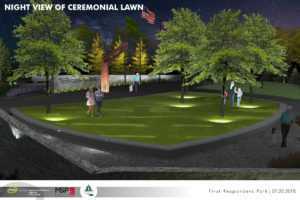 Since then, he’s been working with Columbus based POD Design (also working free of charge) to assist with drawings and overall planning of the expansion. Dan’s dedication to family and community is nothing new. 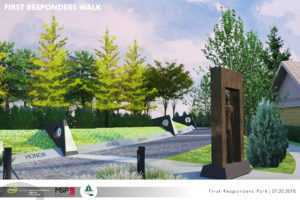 A resident of Evendale, he has also donated his services and MSP’s services for their recent memorial project. 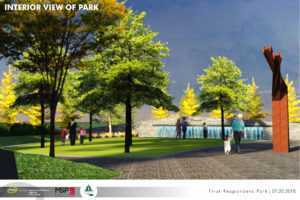 The park’s centerpiece structure is a section of steel called “C-40” from the north tower of the World Trade Center. 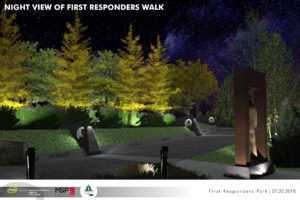 It also features a sculpture honoring a fallen firefighter who previously worked for Westerville. 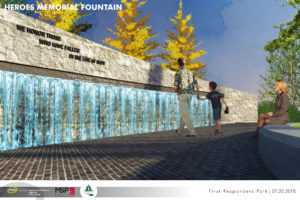 New memorials will include a waterfall with names of fallen first responders embedded and six-foot tall markers for police, fire, 9-1-1 emergency communications and Chaplain Corps. 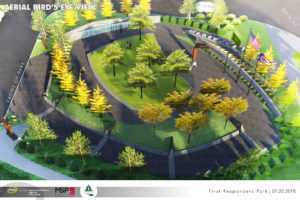 The expansion and new layout will reduce street noise and contribute to a more serene and contemplative experience for visitors. 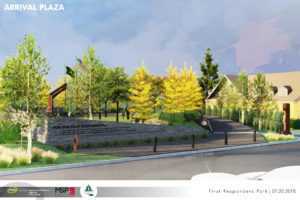 The park expansion is scheduled to be completed by September 11, 2019.